The War between the States has taken a turn. The Confederacy, after victory upon victory against the might of the Union, is beginning to fall. President Lincoln's aggressive generals and massive manpower are now turning back the proud men in gray. General Sherman's ruthless march to the sea devastates the Southern countryside, pillaging the lands as well as crushing morale. There has to be a successful plan to turn the tide. New York City, the empire city, is also torn. Large numbers of copperheads, Southern sympathizers, are growing impatient with the war dragging on and mostly the fear of freed blacks coming up to the city to take their jobs. A Union officer, disenchanted with the handling of the war and its fighting men, resigns his commission as a cavalryman to take a job as a detective with the Metropolitan Police force in the island of Manhattan. Hired to catch the killer of a police captain, he stumbles into attempts to destroy the great city, unaware that a larger more hideous plan lurks. The "circle" of his investigation revolves around a young spiritualist. Gaining notoriety with New York's upper class, she preys on the misfortunes of others by communicating with the dead. Is she involved in the murder? She is also in with a group of ruthless people determined to take the city with the help of Confederate spies who will stop at nothing to succeed. What terrible plan awaits this great city? Can it be stopped? 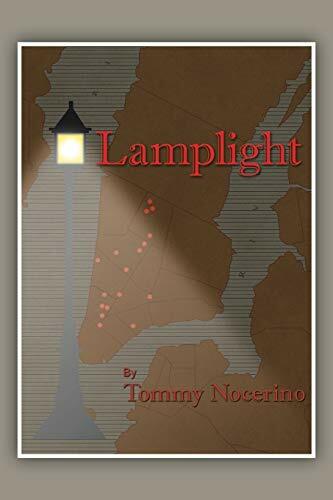 Tommy Nocerino, native New Yorker with expertise in American history and the American cinema, often called on as a guest speaker on various subjects. His pop culture commentary is also in demand on numerous internet radio shows. Tommy resides in Omaha, Nebraska where he continues to foster and refine his many interests. General merchandise. All genres. Large inventory of children's literature and charity cook books. Check or money order. Credit card payments through Abebooks. Invoice sales only for institutions, i.e., libraries, historical societies, schools, etc. International sales no longer use Global Priority - U.S. costs have gone too high. International purchases will be sent First Class International - and cost adjusted for buyer if actual cost is significantly lower than the rate set.